LEMON ESSENTIAL OIL IS ONE OF THE MOST KNOWN AND USED OIL OF THEM ALL. FOLLOW ALONG TO LEARN THE TOP 10 BENEFITS AND USES FOR LEMON ESSENTIAL OIL. As I write this post I have lemon essential oil going in my diffuser near my desk. The aroma immediately makes me feel uplifted, energized, and makes my house smell clean no matter the condition it is in. 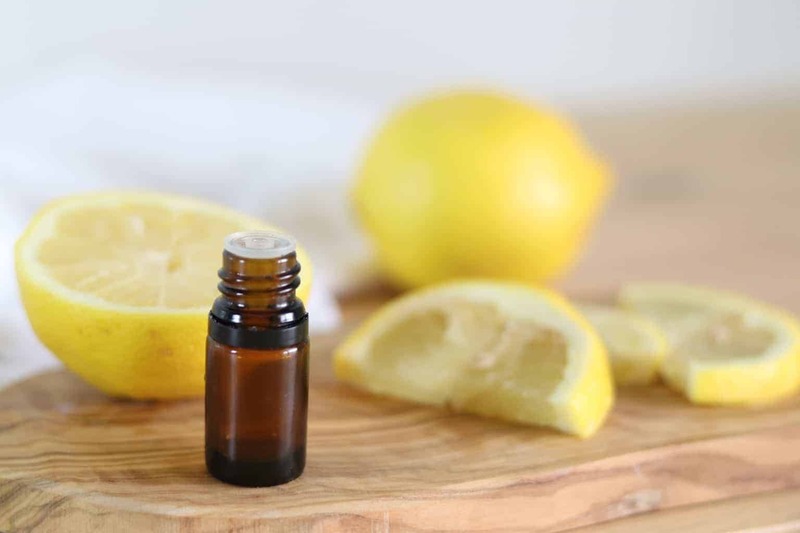 Somedays I get fancy with my diffuser blends, while on other days it is a simple few drops of lemon. Purchase my favorite lemon oil here! Lemon essential oil, and other citrus essential oils, can be used as a natural detox for the body. 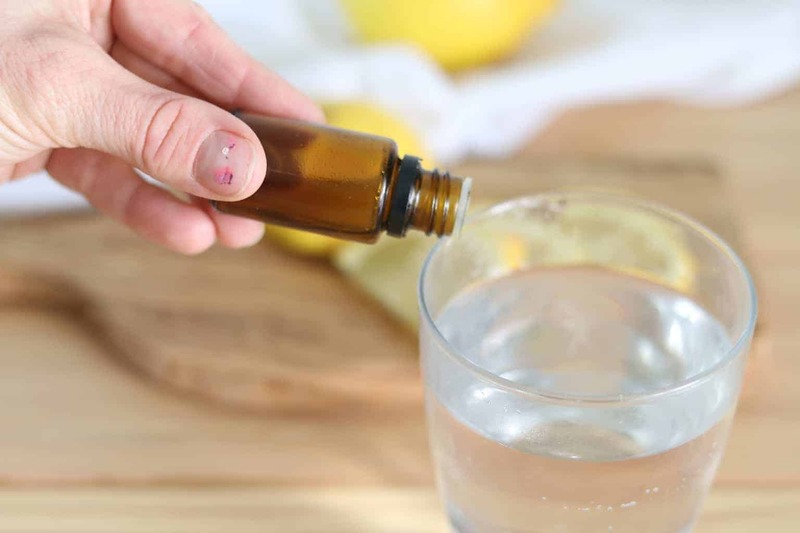 Adding 1-2 drops of lemon oil to your water throughout the day is a great way to get the detoxing properties. Lemon oil is different than using lemon juice because lemon essential oil comes from the peel of the fruit. The peel of the lemon is actually one of the most nutritional parts of the fruit and it contains a wide variety of vitamins, minerals, and fiber. Lemon essential oil can be very beneficial for respiratory health and can promote clear breathing. Try applying lemon to your chest when feeling stuffy or diffusing it when dealing with a cough. Just by inhaling lemon oil it can open up airways and help against seasonal threats. I am sure you have heard of lemon water for digestive support, right? Well same thing with the essential oil! 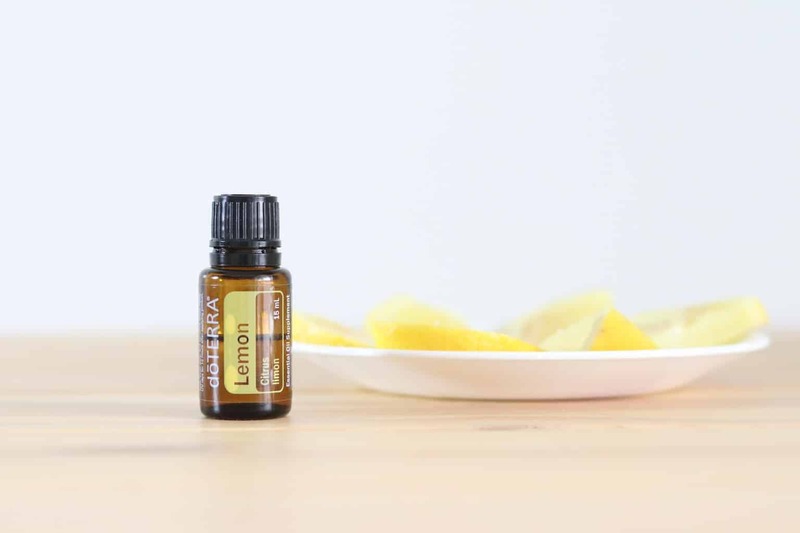 Add 1-2 drops of lemon essential oil to 4 ounces of water to sooth occasional stomach upset and feelings of nauseousness. It is easy to have an imbalanced ph level these days with the amount of processed food we consume, environmental factors, and the amount of toxins are bodies are exposed to on a daily basis. When lemon essential oil is used internally it can help to balance ph levels. Something about the fresh smell of lemon, ahhh I just love it! It can do wonders for uplifting the mood and promoting feelings of positivity. Lemon has been shown to be effective for stress and anxious feelings when used aromatically and topically. Citrus oils, such as lemon, help cells return to their normal state and interrupt unhealthy stress responses. With its cleansing and purifying properties, and because it is loaded with vitamin C, lemon oil is a very effective immune supporter. 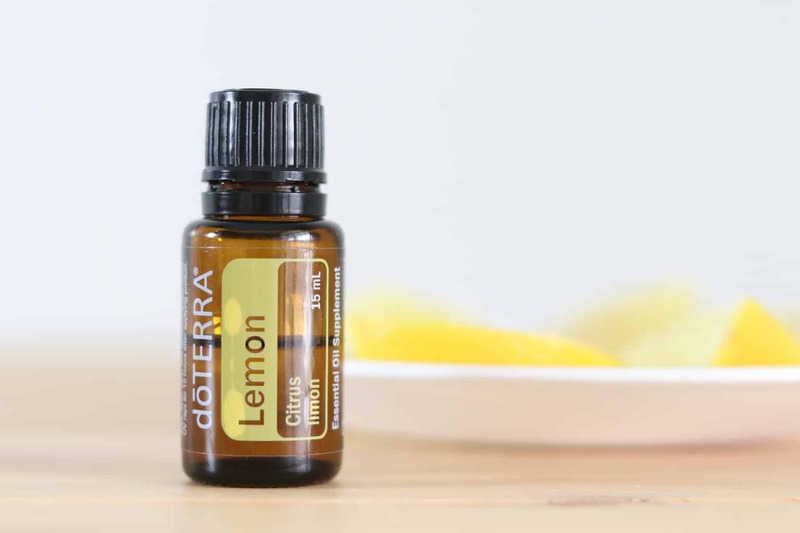 Apply lemon diluted in a carrier oil down the spine or on the bottom of the feet for a natural immune support. As said above, lemon can be helpful for respiratory issues. If you snore or you know someone that does (espically if this someone happens to sleep in the same room as you) try applying lemon on the chest and add in the diffuser before bed. It can help open up airways and prevent snoring. If you find yourself relaying on coffee or an energy drink to get past that afternoon slump, try lemon oil! Now I know it won’t work immediately, as it will take a little time to wean yourself off the caffine if you are addicted. But as you slowly get off the coffee, you can use lemon aromatically and topically to get a natural boost of energy. Try adding 2 drops each of lemon and peppermint into the palm of your hand and cuffing them over the nose. This is my favorite way to get extra energy in the afternoons. Lemon is a natural degreaser and one I love to use when doing the dishes. You can also add a few drops of lemon to your shampoo if you have really greasy or oily hair. Check out my homemade shampoo recipe here and my homemade conditioner here. Lemon has antibacterial properties making it great for cleaning! 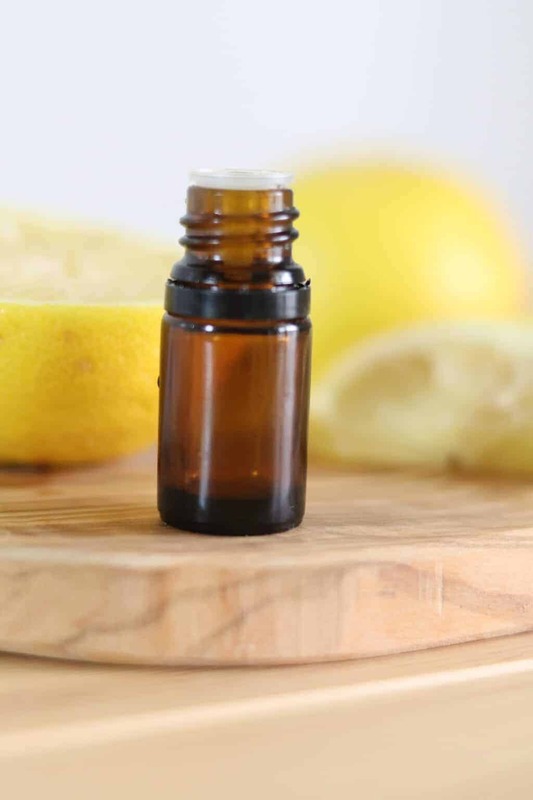 Add 10-15 drops of lemon essential oil, 1/4 cup vinegar to a 16 ounce glass spray bottle, and top off with water. This makes the best all purpose cleaner and I use it for everything! It even works well on mirrors. Grab my other favorite cleaning recipes here. Lemon essential oil can be used aromatically, topically, and internally. Inhale the essential oil straight from the bottle. Add a few drops to the palm of your hand and cuff hands over the nose. Apply lemon essential oil to clothing. Add a few drops of essential oil to a glass spray bottle, top off with water, and mist into the air. 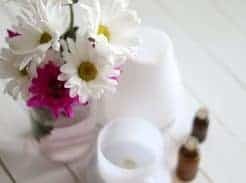 Check out these diffuser blends to support mood, my favorite diffuser blends and how to clean a diffuser, and the best blends for kids. The next way you can use lemon essential oil, is topically. To avoid any skin sensitivities, it is best to dilute lemon in a carrier oil before applying it onto the skin. Lemon oil is photosensitive so after applying you will want to avoid directly sunlight. You can make a lemon roller bottle or make a salve for easy application. 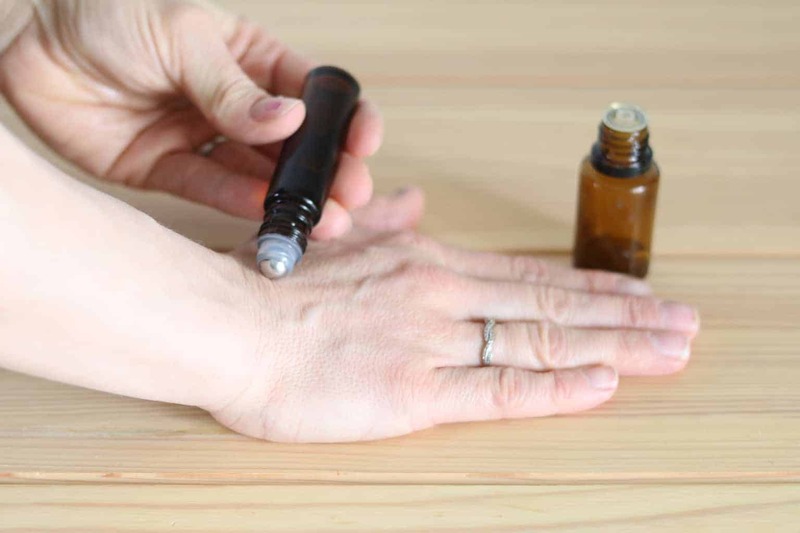 Adult: use 15-30 drops of essential oil in a 1omL roller bottle. 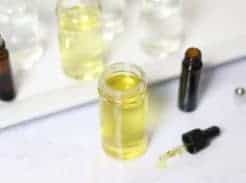 Child: use 5-10 drops of essential oil in a 10mL roller bottle. 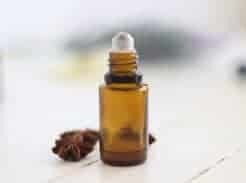 Baby: use 1-3 drops of essential oil in a 10mL roller bottle. Learn more about making roller bottles here! Add 10 drops of essential oil to 1/4 of coconut oil or olive oil. Drop 1-5 drops of essential oil to a warm bath. Add a few drops of essential oil to a lotion, shampoo, or moisturizer. Lemon essential oil can be used internally as long as you are using a high quality essential oil that is intended for internal use. You can read more about ingesting essential oils here. Add 1-2 drops of lemon essential oil to 4 ounces of water to add flavor and health benefits. Make a veggie capsule be adding 1-2 drops of essential oil to an empty veggie capsule. Drop the essential oil straight under the tongue. So have I convinced you to get lemon oil yet? Are you already a lemon oil fan? What are some of your favorite ways to use it? Share your stories in the comments below, I love hearing from you! I’m looking for the best way to help relieve joint inflammation due to arthritis. I’m currently drinking turmeric tea but I’m not at all pleased with the taste. I will continue to do that if it is my only option but would love to know if there is something different I can try. Turmeric will be very helpful, as it is really good at reducing inflammation. You can try turmeric essential oil and capsule it instead so you don’t have to taste it. I would also suggest copaibia and frankincense. I have a whole regimen for arthritis. 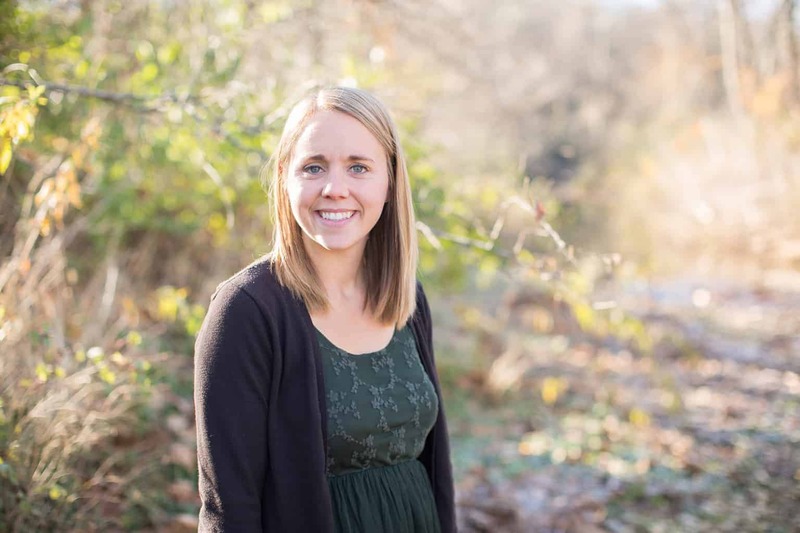 Shoot me an email at laura@ouroilyhouse.com and I can help you further!